In every new destination there is a distinct quality with which I remember it by the most, as if one dominant experience helps create a snapshot of a location in my memory. 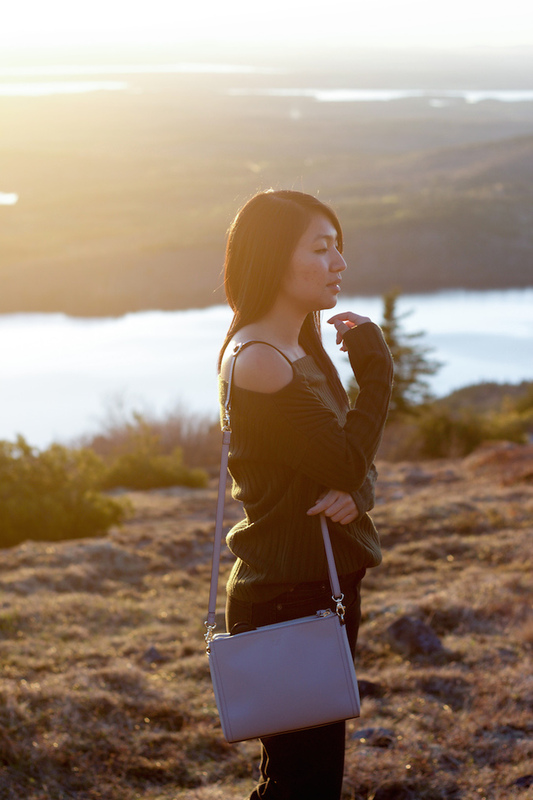 Shortly after arriving home from a long weekend on Maine's Mount Desert Island, I already know how I'll remember this magical region -- by its golden hours. 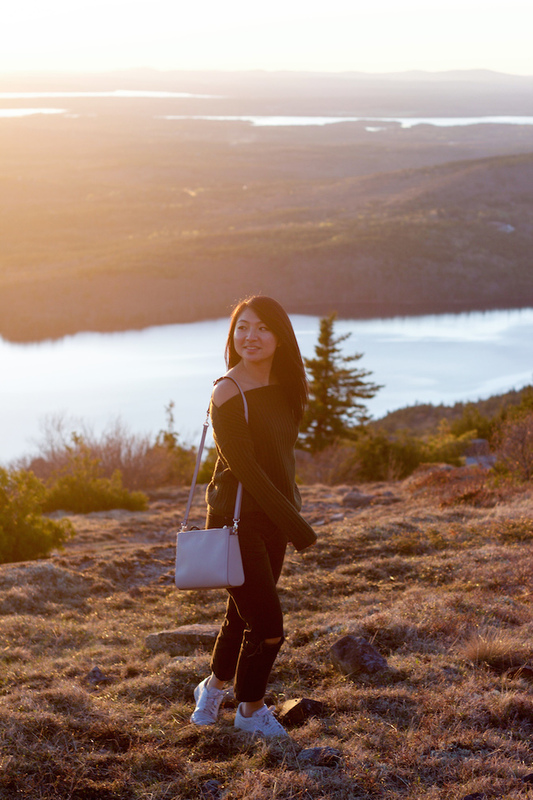 Mount Desert Island is known to be the first place where sunrise is visible in the continental United States for at least half the year. 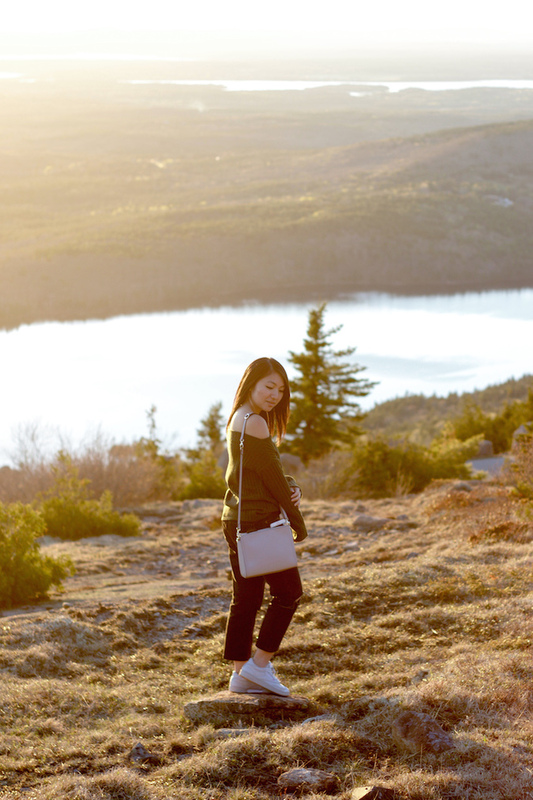 With Cadillac Mountain standing as the highest point on the North Atlantic seaboard, naturally it serves as the prime location to view both sunrise and sunset. 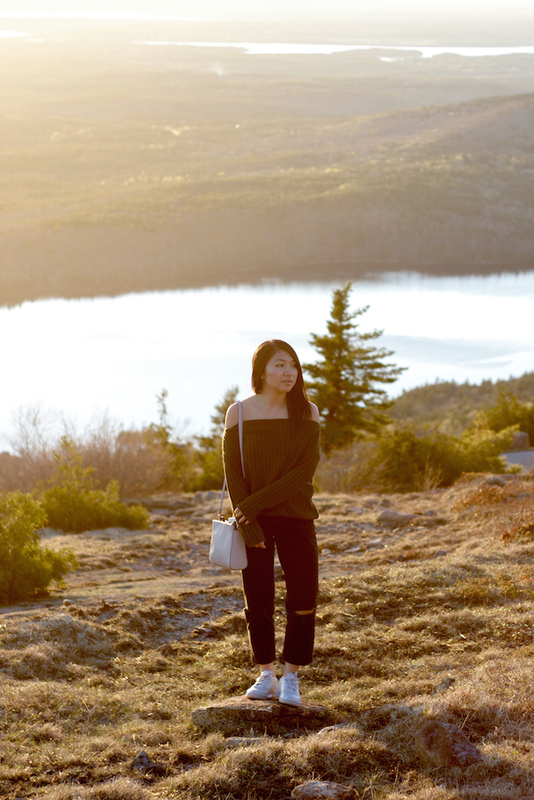 I've seen my fair share of beautiful skies in the past, but nothing compares to the moment when soft sunshine spills over Acadia National Park's stunning landscapes. Much to my family's surprise, I woke up every morning on this trip to watch the sun rise outside our hotel balcony. Ask me to wake up at 4:45 AM on a normal day and I'll laugh, but those who follow me on Instagram will know the magic of a Maine sunrise. Likewise when sunset came around, we waited over an hour atop Cadillac Mountain's summit for the strongest colors to paint the sky. Maybe it seems trivial to describe a location by its sunrises/sets, but I think it speaks to the magic of Mount Desert Island. It is a place where all of nature's beauty meets to create an escape you didn't realize you needed. It is a place of pure bliss, and I'm already waiting for the day I get to go back. 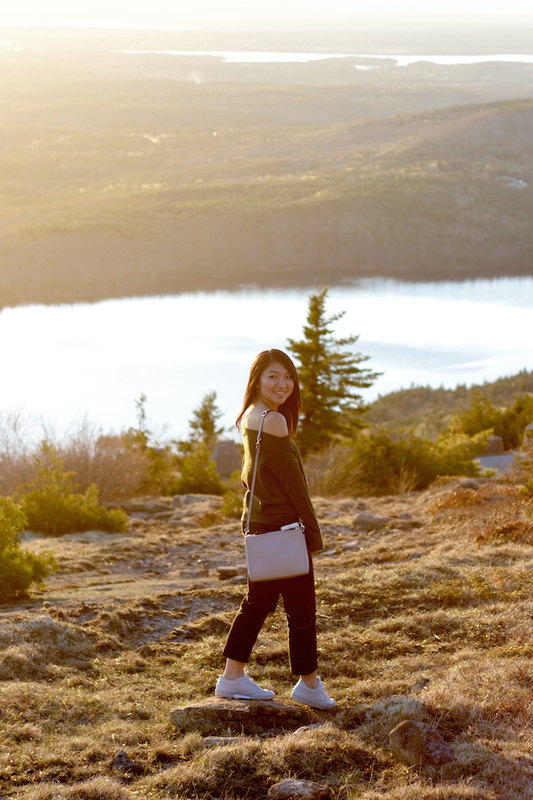 Stay tuned for a complete Mount Desert Island travel diary! I love photos at this time, sunsets are so pretty. These photos are beautiful, girl! Beautiful photos, I really love take a photos when its golden hour too! Amazing pictures! These pictures are all magical. I'd also wake up that early to watch the sun rise. Who cares if its trivial, sunrises/sets are so beautiful. I love these pictures. I love the sunset pictures ! Looks so good ! These photos are absolutely beautiful! 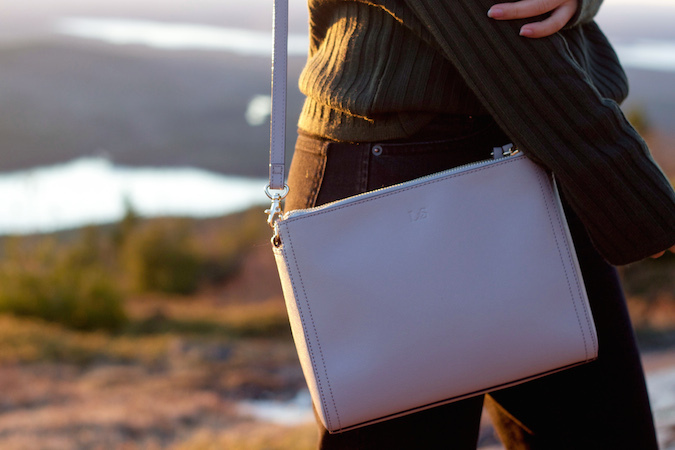 This spot definitely looks like the perfect place to view the sunrise and sunset! Hope your week was great. Happy weekend Christina. I love Acadia National Park! 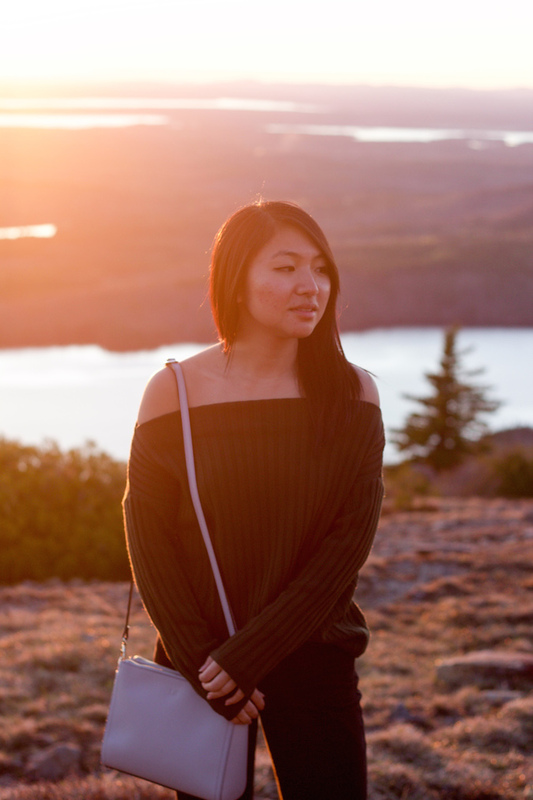 Cadillac Mountain has such an amazing view, especially during the golden hour! Great photo opportunity! Also, I have a Lo & Sons bag too - the weekender one in forest green - and I love it! Picture Hanging Services in Dubai Are you one of those individuals who classify the job of picture frame hanging as rudimentary? If the answer is yes, you could not be any more wrong. Before we could consider our seven shiny new hoverboards, we anticipated that would encourage ourselves how to ride them. We tied on some thriving outfit, comprehending how to mount and dive through a development of eager slips. Hoverboards UK When we found our equality, we started going through the workplace. There were a few accidents as we got its swing, at any rate we wound up making meanders carelessly quicker than anticipated.